When it was last announced that a Desolation of Smaug production video will be coming our way after the trailer, I was expecting it to have the post-production video format that we enjoyed before. I was eagerly awaiting for another geek-worthy vlog that Peter Jackson would almost always introduce. Instead we get to see a much different format, and a featurette for that matter. 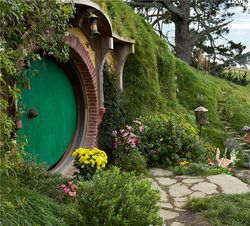 And instead of focusing on the movie itself, it promotes the wondrous locations in New Zealand, where some of the outdoor scenes fromt he movie had been shot. Not only that, the video boasted that the final frames do not really require CGI because they are almost perfect on their own. Watch the 6-minute video from The Hobbit: The Desolation of Smaug that promotes News Zealand as The Home of Middle-Earth. The Hobbit: The Desolation of Smaug reaches cinemas nearest you on December 13, 2013.